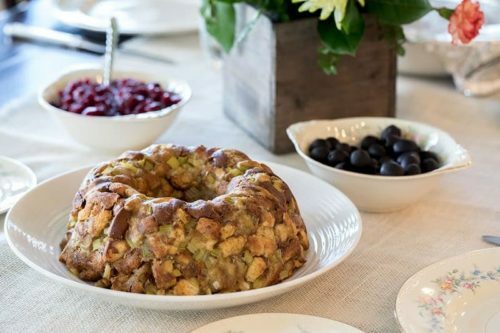 Take the guess work out of Thanksgiving with my tried-and-true Thanksgiving recipes. With my Thanksgiving Planning Guide, you’ll know what to cook and when to start it so that the entire dinner comes together at the same time. Thanksgiving dinner—it’s one of the biggest meals of the year! With so many sides and desserts (not to mention the will-it-ever-pop nature of turkey timers), it can be a challenge get the timing right! When do you need to start everything so that the entire meal will be hot-and-ready at the same time?! Spending a little time creating a plan helps take the stress out of Thanksgiving day. I’m hosting a big crowd this year—my grown children alternate years at our house and their in-laws. This year, I’m so excited to be hosting my full family, complete with my in-laws, my son and his fiancee, my twins with their fabulous significant others, my daughter’s family with my wonderful grandsons and my tiny new granddaughter. Dry-Brined Turkey: I’ve been making this dry-brined turkey since 2010. The recipe is quite simple—just salt and turkey—and allows the turkey flavor to really come through. Plus, the dry brine ensures the turkey cooks up moist, flavorful, and delicious. Traeger Spatchcock Citrus Turkey: This turkey is new to our menu this year! I have loved cooking on my Traeger and have been looking forward to smoked turkey ever since I got it. 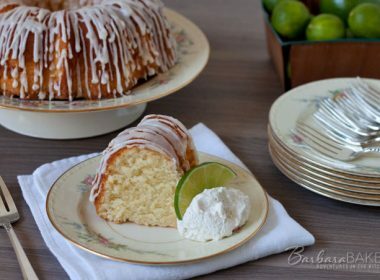 I did a test run of this recipe for a family event, and my family devoured it and asked for more. Even though the flavors are a bit nontraditional, it makes a delightful gravy and would be a great fit for any Thanksgiving table. Pressure Cooker Turkey Breast: Yes, I’m cooking a third turkey this year. 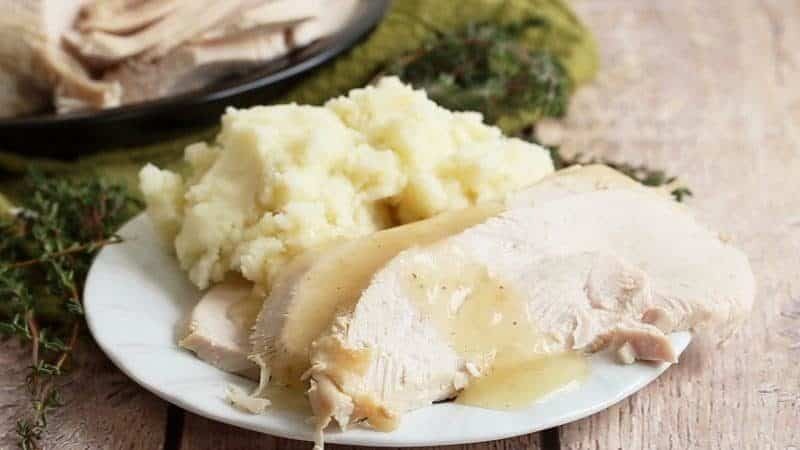 My grown children love it when I send them home with leftovers for turkey sandwiches, and making a quick turkey breast ensures we have enough gravy for seconds (and thirds) of mashed potatoes. If you’ve never roasted a turkey before, be sure to give yourself plenty of time so you’re not stressed about getting dinner on the table. Take the guesswork out of cooking and use an instant-read thermometer to make sure your turkey is cooked to 165°F at the thickest part of the breast. 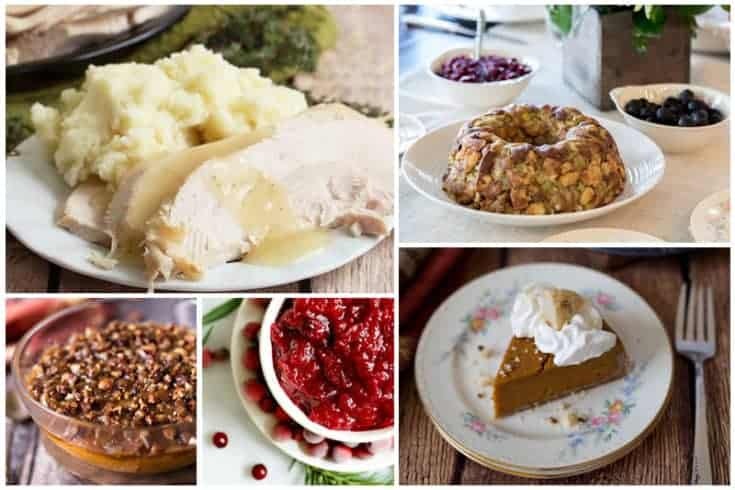 Mashed Potatoes and Gravy: These are a must-have at my house—you can’t even think of making turkey without lots of mashed potatoes for the gravy. I like to make my mashed potatoes early in the day and keep them warm in a crockpot with a little milk on top. For extra creamy potatoes, there’s no replacing my potato ricer. If you make just one pressure cooker Thanksgiving recipe this year, let it be mashed potatoes. Seriously, steaming the potatoes in the pressure cooker is the best way to cook potatoes for mashing. No boiling over, no watching pots, no steamy kitchen. 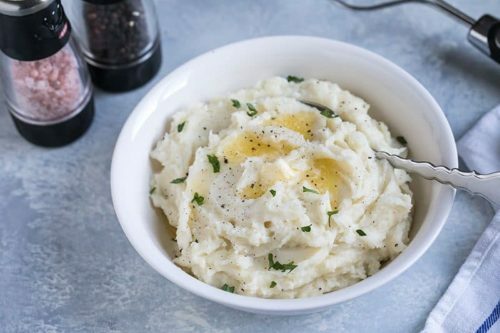 My Pressure Cooker Creamy Mashed Potatoes are the only way I’ve made potatoes since I started pressure cooking. If you’re looking for a nontraditional mashed potato recipe, try this Bacon and Caramelized Onions recipe. Bread Stuffing: This recipe is one I’ve been making for 40 years now, based on a recipe my sister-in-law gave me when I first got married. This bread stuffing features classic seasonings. The secret to this stuffing/dressing is toasting the cubed bread first—it dries the bread out, which allows it to absorb the broth and seasonings without getting mushy. Sweet Potatoes: Several years ago, I swapped out my marshmallowy syrupy-sweet recipe for Paula Deen’s Easy Sweet Potato Bake, and I’ve never once looked back. To make it even easier, I’ve converted it into a pressure cooker sweet potato casserole, and it’s a fixture around my table. Cranberry Jelly and Cranberry Sauce: I’ll be honest—I like cranberries a little on Thanksgiving day, but I really love them for day-after-Thanksgiving turkey sandwiches. My husband and boys still prefer the classic Cranberry Jelly, while I prefer a fancier Cranberry Sauce. 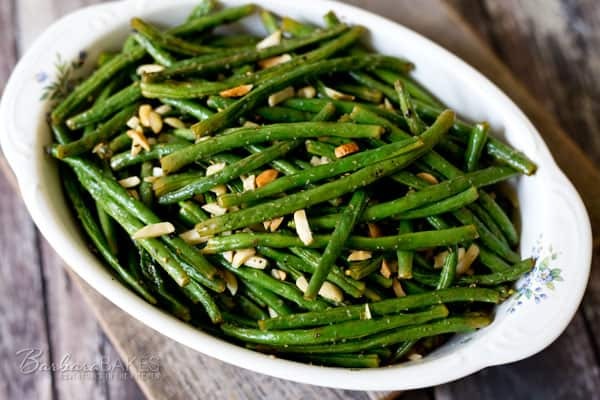 Roasted Green Beans: Oftentimes, vegetables get overlooked at Thanksgiving dinner. 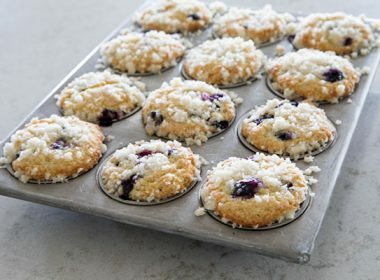 Not with this recipe—my family frequently argues over who gets to finish these off. And I usually double or triple the amount of almonds so there’s enough to go around. Green Jello Cream Cheese Salad: I know that this is a Utah-centric food, but it’s just not Thanksgiving for me without this classic Jello salad recipe. Dinner Rolls: My sons and grandsons are crazy about homemade rolls. Each year, I like to make a huge batch since there’s nothing better than turkey sandwiches on a homemade roll. This year, I’m planning to make my Lion House Rolls. 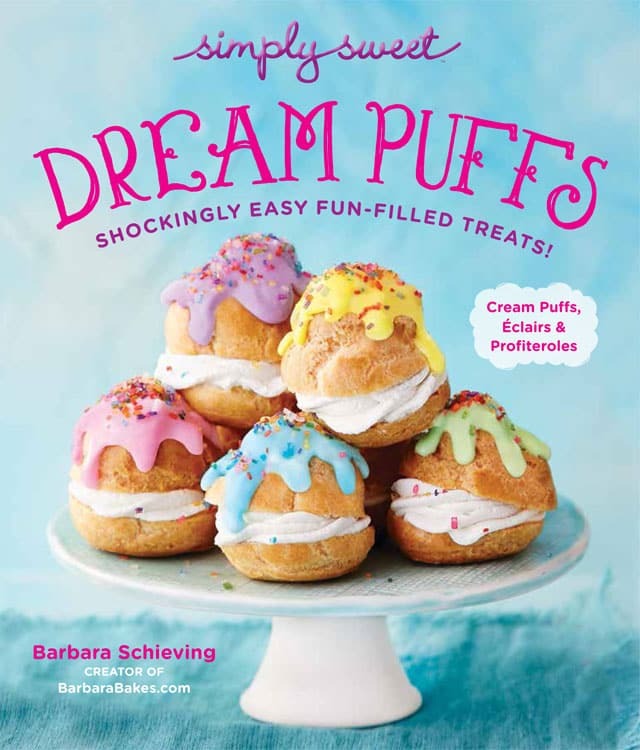 These rolls are awesome—light and fluffy with a fun rolled shape. I also love these Crescent Rolls, which make a great base for a turkey sandwich. I really like parbaking my rolls to free up some time on Thanksgiving. 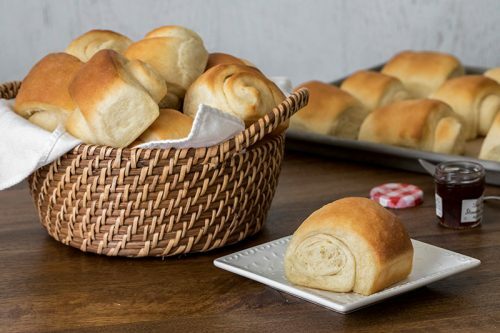 Many years ago, I came across Frieda Loves Bread’s Brown & Serve Roll technique, and it’s still my go-to way to make rolls for Thanksgiving! 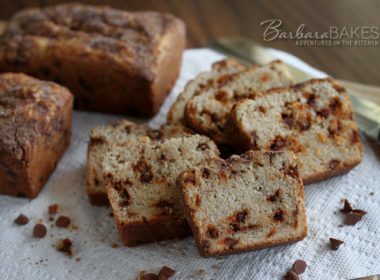 They taste, look, and smell fresh-baked, but you do most of the hard work several days ahead of time! My favorite part of Thanksgiving is when it’s finally time to break out the pie! At my house, everyone has a favorite, and I often end up making at least three or four pies each year. Pecan Pie: There’s a reason this pie is a Thanksgiving favorite! Pecan pie is such an easy pie to make—just whisk the ingredients together, toss in the nuts, and pour it into a pie crust. The nuts rise to the top and brown up beautifully as the pie cooks. 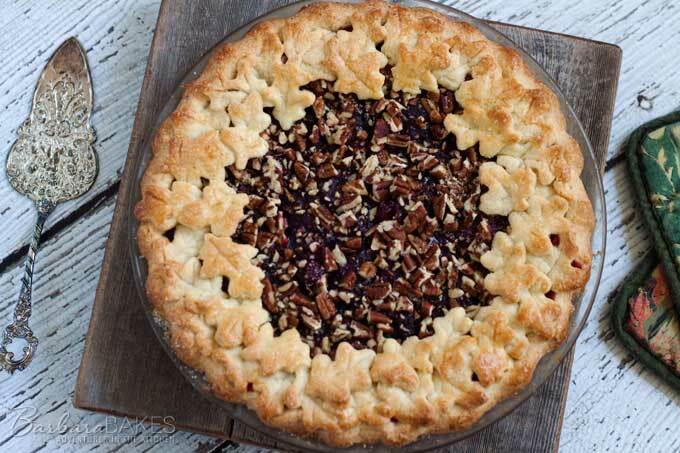 For a twist on the classic, try my Cranberry Pecan Pie. This cranberry-citrus-pecan topping has a tangy-tart flavor that is an awesome alternative to sweet pies. Pumpkin Pie: What can I say—my husband loves the flavors he grew up eating. At this point, we still haven’t found a pumpkin pie recipe he prefers more than the classic Libby-on-the-label version. Since my husband is the main reason I make pumpkin pie, I generally cook a smaller one just for him in my pressure cooker. 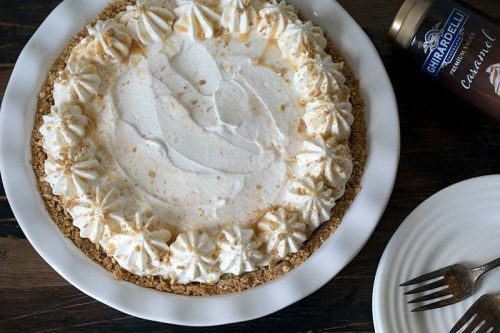 Brown Sugar Banana Cream Pie: This one is new to my menu this year—my grandsons are demanding it. They love the sweet brown sugar pudding and the crumbly crust. Lemon Blackberry Chess Pie: My mom loved Thanksgiving. Her favorite pies were lemon pies, so I’m always sure to include a lemon pie in her honor. This Lemon Blackberry Chess Pie is a great flavor combination with a beautiful presentation. If you want a more traditional lemon pie, however, you can’t go wrong with this Creamy Lemon Yogurt Pie or a No-Bake Lemon Cream Cheese Pie. See more of my favorite Thanksgiving Pies on my roundup post. Once you’ve got the menu planned. It’s time to make a planning guide. Preparing as much as you can in the days before Thanksgiving helps alleviate a lot of the stress of a big meal. 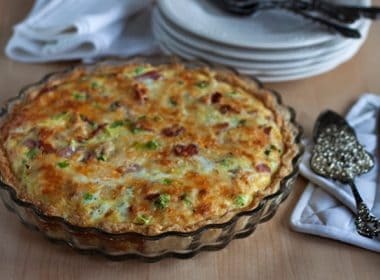 In addition, so many sides and desserts can be made ahead of time and either frozen and kept in the fridge ready to bake or serve. Download my Thanksgiving Planning Guide here, and use it as a template to make your own Thanksgiving meal. Wishing you a wonderful Thanksgiving filled with family, love, and good food. How do you make turkey stock when you don’t have the turkey carcass yet?? Hi Sarah – just buy some turkey parts. Wings, thighs, or legs. You are definitely ready, Barbara. 🙂 LOVE your organizational skills!! And your menu is amazing! you are organized and fabulous! What a great llist. I’ve been eying those dinner rolls and I agree about Libby’s pumpkin pie. I also do a dry brine and then I roast with cheesecloth. It’s a no fail. Have a happy Thanksgiving meal, Barbara. Mine is Sunday, a new tradition. I had to laugh at the 20 lb turkey. I bought my turkey the other day and it’s about 10 pounds and it was one of the bigger ones at the store. They had one larger than this and it was $72 and it didn’t come close to 20 lbs. Turkey isn’t a big thing here so if you want it bad enough, you pay. 🙂 I’ve got a new American family member I’ve never met who’s coming for dinner and is dying for American food. Yay! I need to get my planning guide going! Wow $72 – I guess I shouldn’t tell you that I bought mine for $.99 a pound. 🙂 Have fun with your American Thanksgiving! thank you for doing this Barbara. A big help. I wonder if you have ever tried another pie crust recipe. I have one that you add vinegar, egg and water along with the flour shortening etc and I love it. 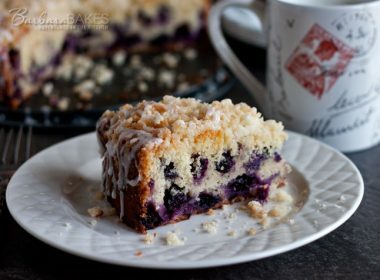 Just wondering since you are a great cook to try my recipe sometime and let me know how you like it. I got this recipe from my mom that used this recipe for as long as I can remember. 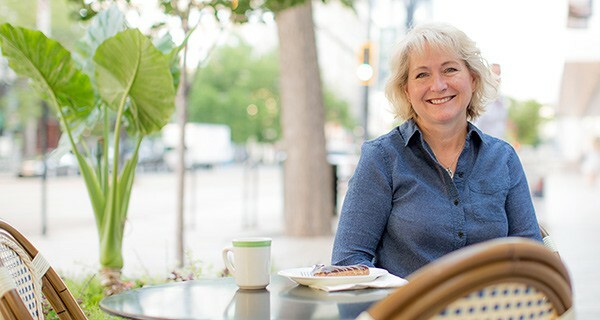 Hi Andi – I have tried several recipes, but not one with egg. If you want to email it or send me a link, I’d be happy to give it a try one day. 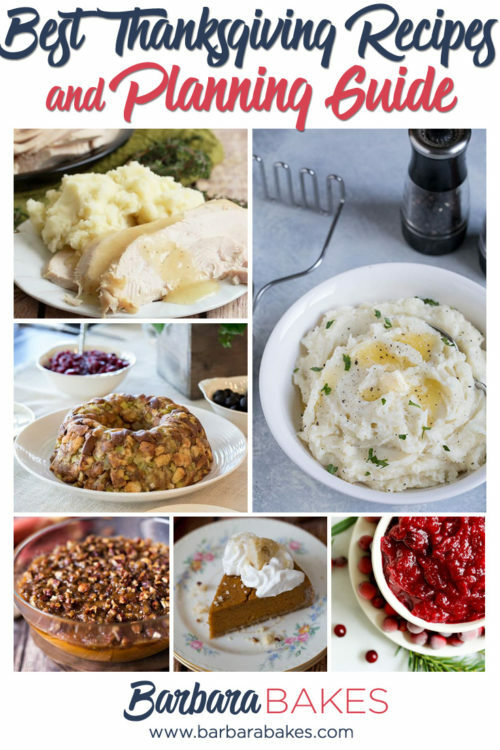 Thanks so much for sharing your Thanksgiving planning guide! Lots of great planning tips and ideas! Pinning to my Thanksgiving board. You have a beautiful menu lined up, Barbara. Happiest Thanksgiving to you! I don’t cook Thanksgiving dinner any more-my daughter does the cooking now-I just have to organize the list of half the house that I’m bringing up there. I wish I was as organized as you are Barbara-your menu sounds over the top amazing. I would love to sample all the wonderful dishes you’re serving. I know everyone will push away from that glorious feast with very full tummies and VERY big smiles. Thanks Carol! Happy Thanksgiving to you. I think having it at your daughter’s house sounds lovely. I only dream about being this organized! Great post, and glad you liked the Broccoli Gratin. Will share this! Wonderful planning Barbara! It certainly helps take relieve some of the stress that goes with this holiday every year! Have a wonderful Thanksgiving! Wouldn’t that be fun. Although California sunshine does sound pretty awesome too.